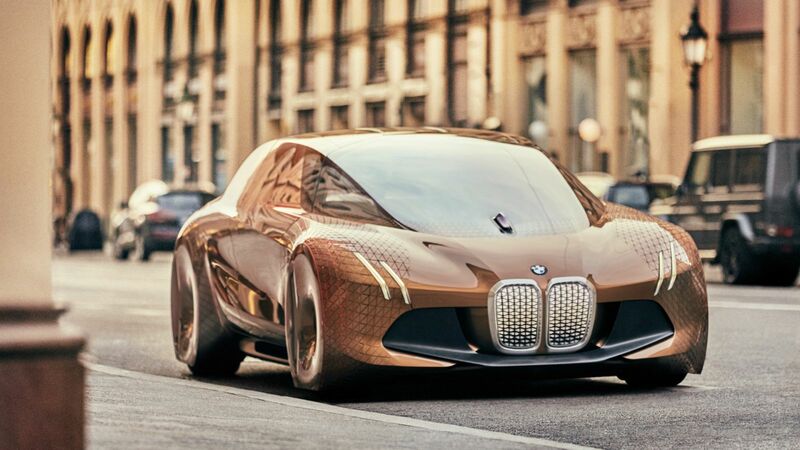 BMW plans to produce a futuristic electric vehicle with a whopping 435 miles of range. That’s enough to drive from Los Angeles to Phoenix and still have 60 miles to spare. Tesla’s current sedans, the high-speed luxury Model S and the more affordable Model 3, have upper ranges of 335 miles and 310 miles, respectively. Tesla’s current SUV, the Model X, has an upper range of nearly 290 miles. The critical difference, of course, is that Tesla’s electric vehicles already exist and can be driven across the entire U.S.
BMW officials told Auto Express that later in 2018 the company will reveal an SUV prototype of its forthcoming iNext all-electric vehicle, which it plans to put on roads in 2021. The iNext, according to BMW, will follow the size and stylings of the BMW x5, the automaker’s current gas-powered SUV. Critically, the iNext will be able to carry batteries capable of holding 120kWh, enough to supposedly give the vehicle 435 miles of range. At the Detroit Auto Show this week, BMW confirmed this extreme driving range. Previously, BMW’s head of sales and marketing, Ian Robertson, expressed the intention of competing with Tesla in the electric vehicle market. We don’t yet know what the iNext looks like, but the futuristic conceptual stylings of BMW’s “Next 100” vehicles provide some insight. These almost Batmobile-like concepts, which BMW announced in 2016, are BMW’s visions for its forthcoming vehicles. These futuristic designs were also previously seen in BMW’s all-electric Mini, which the company says will hit roads in 2019. By the time 2021 rolls around, however, BMW’s 435-mile range iNext won’t simply be competing with Tesla’s current electric offerings — it might also be in competition with a new Tesla SUV that doesn’t yet exist but can perhaps carry a larger battery: the Tesla Model Y.